Meet the Author | Enjoy the Journey! 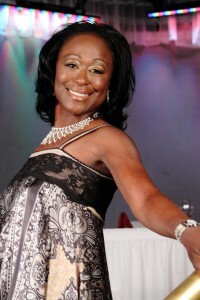 Coré S. Cotton, is an entertainer, motivational speaker and licensed attorney. For over two decades, Coré has traveled nationally and internationally raising the awareness of people of all ages, socio-economic and cultural backgrounds through her musical productions and motivational presentations centered on positive self-development, education and effective relationship building. Coré believes that healthy relationships, whether romantic, familial or platonic, are grounded in healthy individual self-development. Coré’s diverse background and experience have contributed to an instant rapport with people of various backgrounds-from young aspiring performing artists to corporate executives. Coré has recorded, performed and traveled around the world as a featured vocalist with the Grammy-winning Sounds of Blackness (Sounds). She is fondly remembered in the music industry for her vocals on “Optimistic,” from the Sounds’ Grammy-winning debut album, “The Evolution of Gospel.” She has shared venues with such artists as Patty LaBelle, the late Luther Vandross, Amy Grant, BeCe and CeCe Winans, Aretha Franklin, Oleta Adams, the late Isaac Hayes and a host of others. Coré’s voice can be heard on recordings with such music greats as Quincy Jones, John Cougar Mellencamp, Sting, Janet Jackson, Barry White and Phil Collins, among others. She has also been prominent on various movie soundtracks including “Mo’ Money,” which garnered her a third Gold Record, and the Posse. In addition, Coré is an accomplished songwriter as noted on her self-published CD, Mother & Child. Her original music has also appeared on Sounds’ recordings. Coré’s television credits include: The Tonight Show; The Today Show; Christmas at the White House; The Arsenio Hall Show; The Byron Allen Show; the Stellar Awards; the Essence Awards; the NAACP Image Awards; and the Soul Train Awards. In addition Coré has appeared at a host of festivals, conferences and summits including the Live Celebration in Japan, the Jack The Rapper Convention, Hammersmith-Odeon in London, Sonesta Koppel in Amsterdam, the United Nations 50th Anniversary Montreaux Jazz Festival in Montreaux, Panafest in Accra & Cape Coast, Ghana, the Cincinnati Jazz Festival in New Orleans, LA, the Smithsonian Institute in Washington, D.C. the Jazz Festival Black Family Reunion in Baltimore, MD and Philadelphia, P.A, the Summit of the Eight in Denver, CO and a host of others. Coré is the recipient of various musical honors, from Grammy Awards, Essence Awards, Stellar Awards, Soul Train Awards and an International Dance Music Awards to multiple Gold and Platinum records. She is a classic song stylist with the ability to perform any genre of music. With all her accomplishments, however, she is quick to note that her true musical enjoyment comes from producing, arranging, performing and recording with her sisters, “Sisters Cotton”. KoCo’s Vice President and COO, Regina R. Adams, is one of the members of the dynamic and soulful family group, “Sisters Cotton”. Coré’s music and legal background, together with her warm, personable and timeless touch, are effectively leveraged by KoCo to provide excellent music services to its clients.